Each year, when the spring cleaning season arrives and we start feeling restless like we need to clean everything in sight, we always make sure we save time to organize our garage. It’s by no means our favorite task, but it’s also the area of the house that falls apart the most throughout the rest of the year and getting it done now sets us up for months to come! That’s why we’re always on the lookout for awesome DIY garage storage solutions or organizational tips to deal with garage clutter. 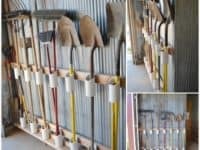 Just in case you need help getting your garage organized just as badly as we do, if not more, here are the best and most effective ideas that we’ve come across so far in our search for guidance and inspiration! Perhaps you’ve got quite a few things that you’d really like to just store safely and dryly in boxes but you’re not sure where you’ll put those tubs because you don’t have a lot of floor or wall space to work with? Then we just might have found the best solution for you right off that bat! 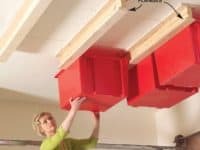 Check out how Family Handyman installed wooden runners all along the ceiling that let storage bins slide easily across to keep them high up, out of the way, and safe from dampness as winter melts into spring. If you’ve ever seen photos of big pegboard storage walls before then we’re sure you already . 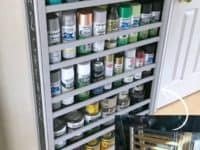 know just as well as we do how useful they can be, but not everyone has the spare space above their garage workbench to take up that much space on the wall. 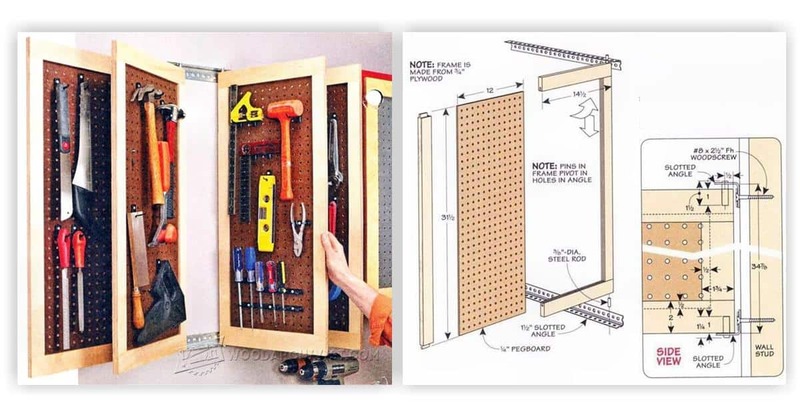 That’s why we Love this idea for making a series of hinged pegboard storage panels instead! See how this more space efficient, double sided version of the idea was created on Woodsmith eTips. 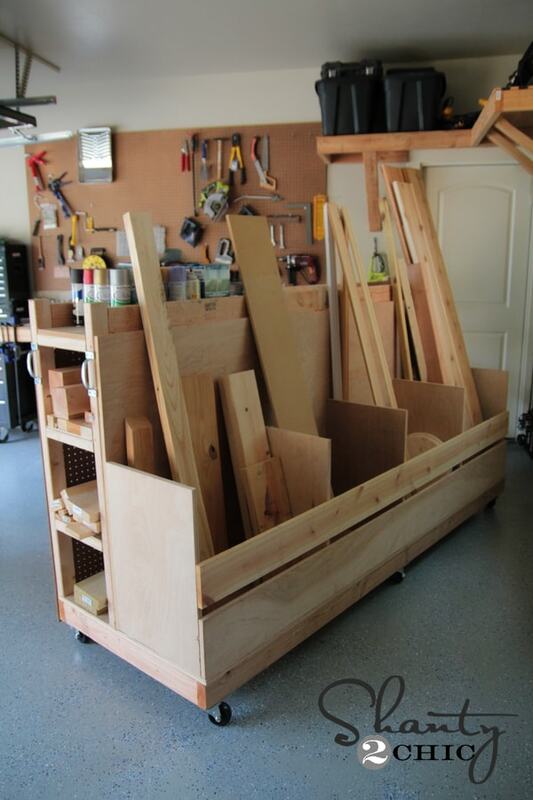 If you’re the kind of garage user who tends to store all of your wood in there alongside your woodworking supplies, then we’re sure you know just how quickly things can start to feel cluttered and cramped! That’s why we liked this idea from Shanty 2 Chic for making a lumber card with wheels for easy movement and different sections to place different types of wood into so you can always find what you need easily but still keep it all under control. 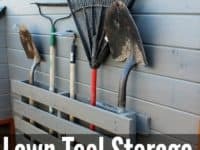 Are you actually more of a gardener than a woodworker and it’s your long handled yard tools that are taking up a little too much space for your liking? 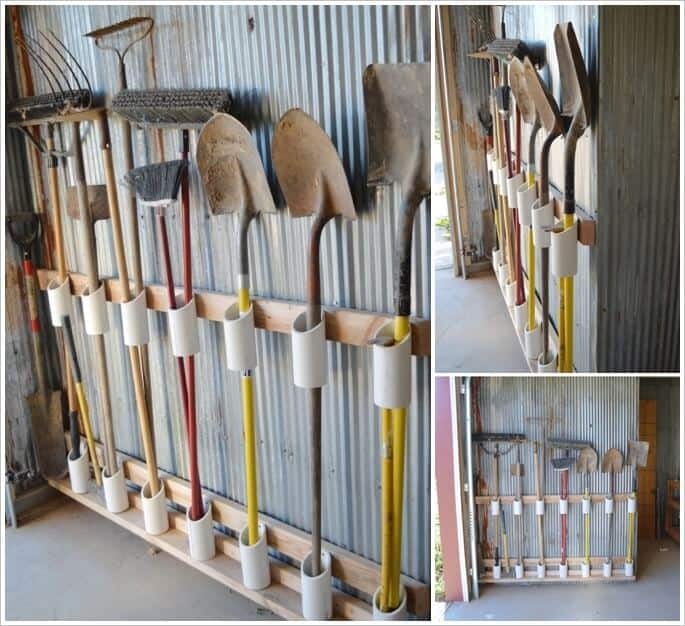 Then perhaps you’ll get along a little better with something like this PVC pipe storage rack that sits right along the wall and stops things like spades and rakes from fall over where they’ve been leaned. 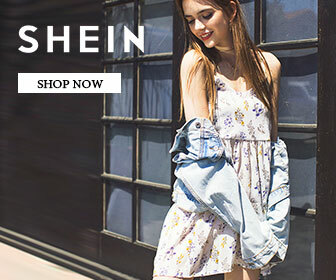 Get the full details for making your own on Ashbee Design. Is your garage actually more of a social and dressing place because your kids are very active and always putting on or taking off gear and equipment for various sports and outdoor activities? 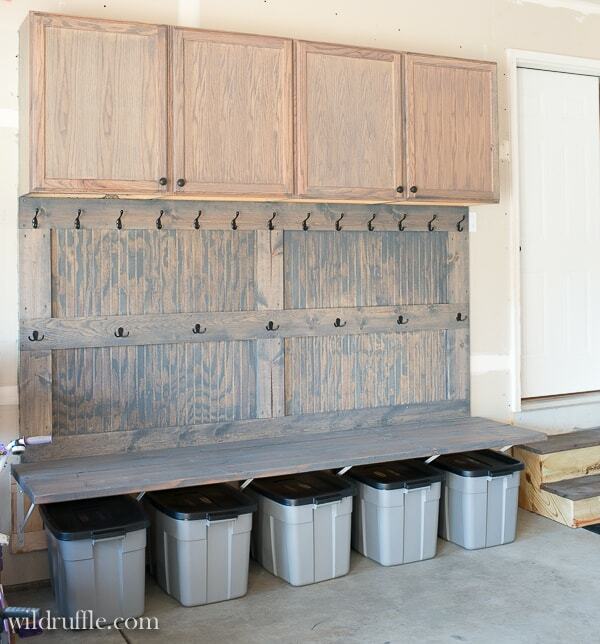 Then maybe you’d get along better building yourself a mudroom along one side so that all of those supplies and accessories can be kept in one spot rather than scattered across the whole space and into the house! Take a look at Wild Ruffle to find out how this version featuring cupboards, space for bins, a bench, and some coat hooks was made. 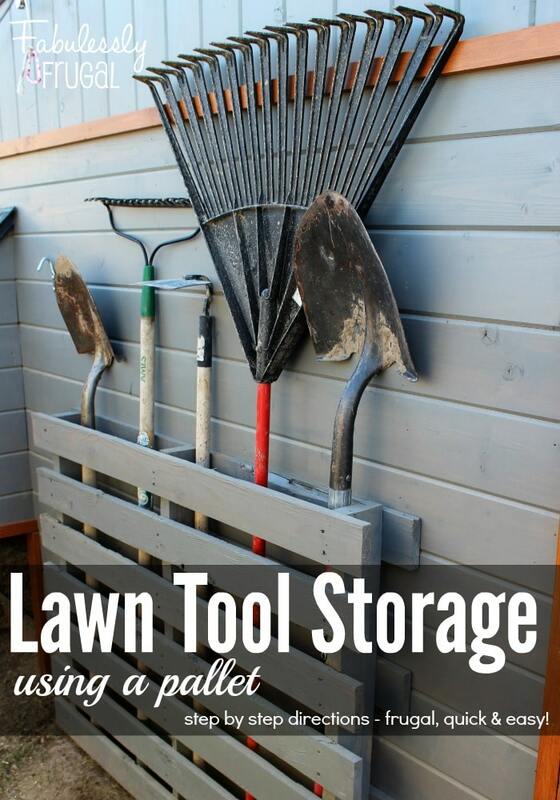 Did we really hit the nail on the head when we started talking about the need for lawn tool storage but you’re just not sure that working with PVC pipe quite appeals to you? 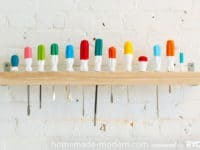 Well, if working with something wooden and doing a bit of upcycling sounds a little more your speed, we’d definitely suggest taking a look at how Fabulessly Frugal made this long handled tool rack that keeps things contained right up against the wall! 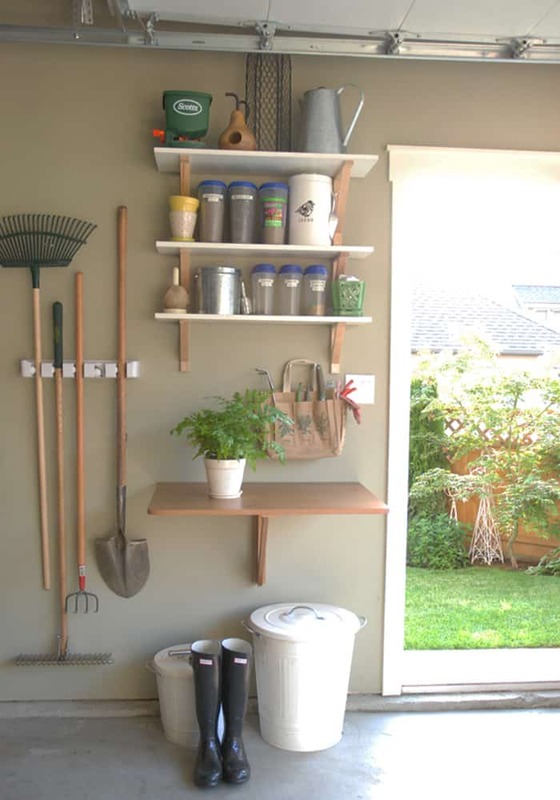 Maybe instead of a workbench and tool area, what you could really use on the wall in your garage is a space efficient spot to get some of your gardening tasks done and keep your tools for that all in one place? 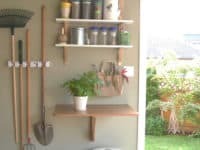 In that case, we’d definitely suggest taking a look at how Mini Manor created this folding garden station complete with DIY floating shelves mounted on the wall above. Do you actually have a sizeable wall space available for some kind of storage solution but you’re feeling intent on building a structure from scratch that will give you lots of places to put things? 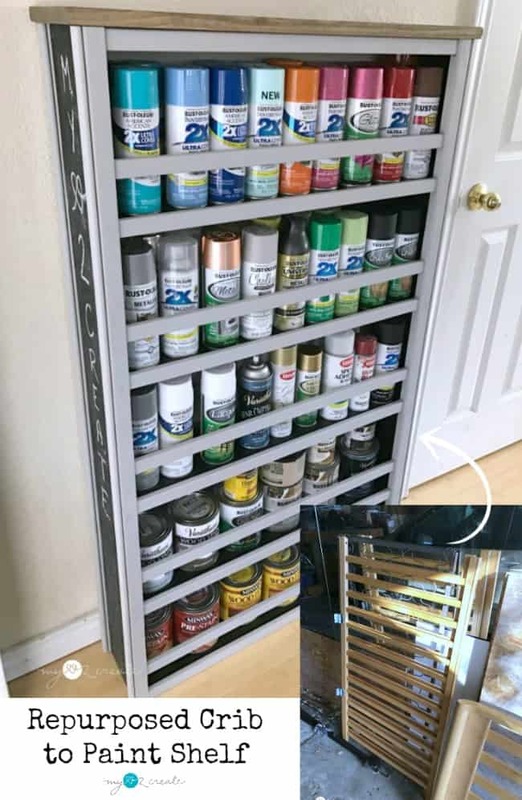 Then we think you might find this tutorial from Sugar Bee Crafts that walks you step by step through the process of creating an entire custom cabinet full of garage cupboards very useful indeed! 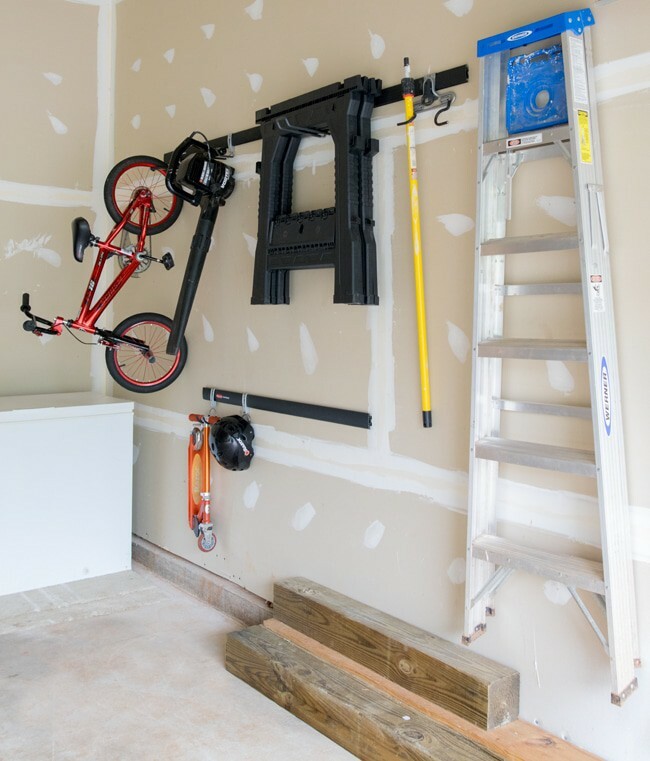 Were you a huge fan of the idea of creating additional wall storage in the form of pegs but you’ve actually been wondering whether a hook might be better so you can hang all different kinds of things, rather than just bikes? In that case, we think you’ll be rather pleased to hear that Craving Some Creativity is on your same wavelength! They’ve got some tips and tricks for you to help you plce the hooks just right in order to maximize space. 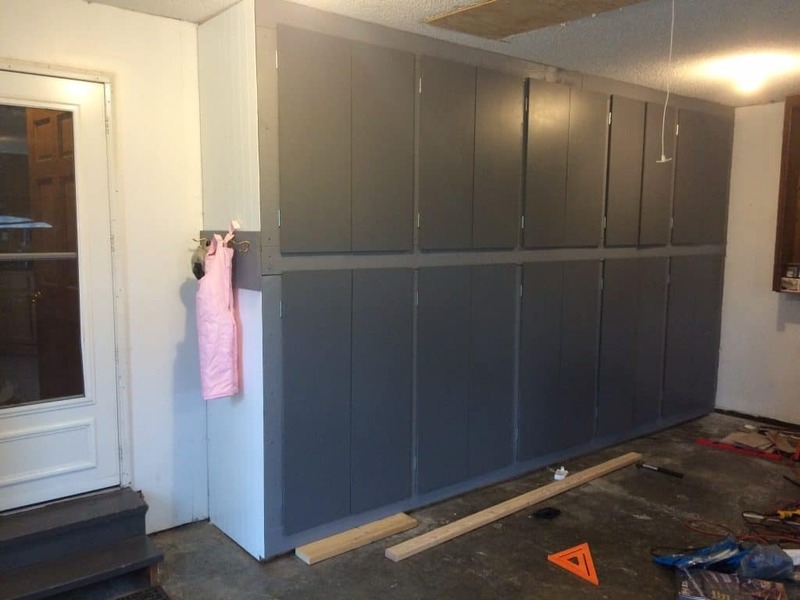 Do you actually use your garage as an entrance to your home and a storage and workspace, so you find that a coat rack is really lacking near the door where they take their shoes off? In that case, why not combine aesthetics to make something that suits all the different purposes of your garage? 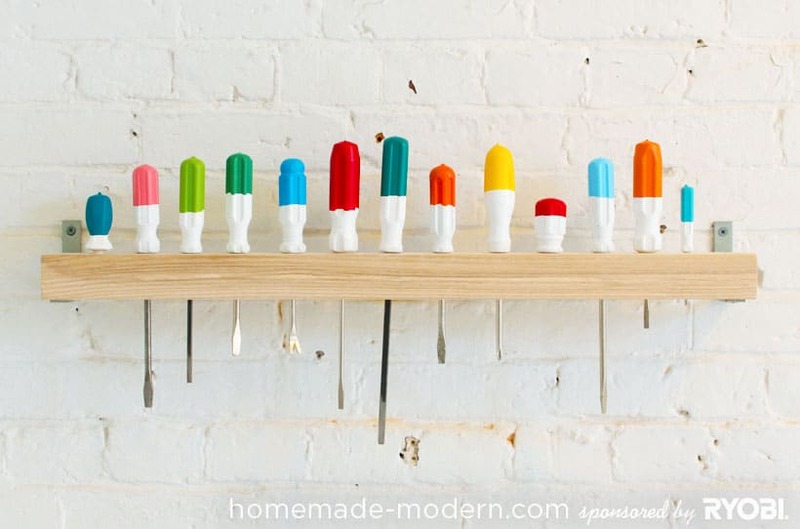 We’re completely in love with the way Homemade Modern used painted screwdrivers to make an awesome wooden mounted coat rack. 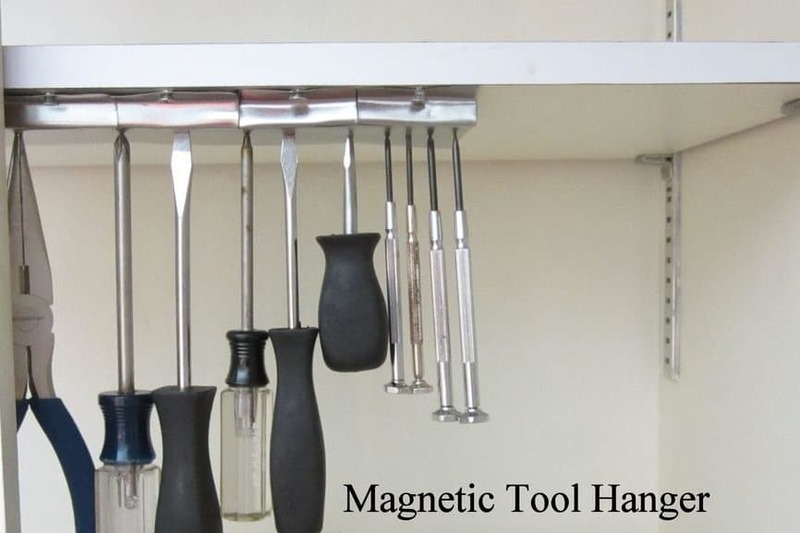 Are you the kind of woodworker who loves to keep your most commonly used tools on hands at all times, so you’re looking for a way to store them that is accessible, rather than just stashing them away in a garage cupboard? 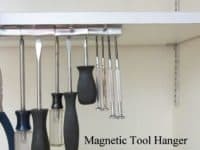 In that case, we think you’ll get a real kick out of the way Instructables created this magnetic took storage where your metal based tools, like screwdrivers and pliers, can be grabbed and hung quickly and easily in just seconds. Perhaps you’re actually the kind of person who finds yourself using cans and canisters of paint quite often and you’re looking for a place to put them but you’ve also got some old baby furniture you need to upcycle or clear out? In that case, we think you’ll be just as intrigued as we were to see how My Love 2 Create turned their old baby crib into a paint shelf that’s perfectly sized and measured! Are you actually still scrolling through our list and finding yourself thinking more about the garage ceiling storage we showed you above but you’re not sure the long, sliding concept you saw there will work because you don’t have quite enough room? 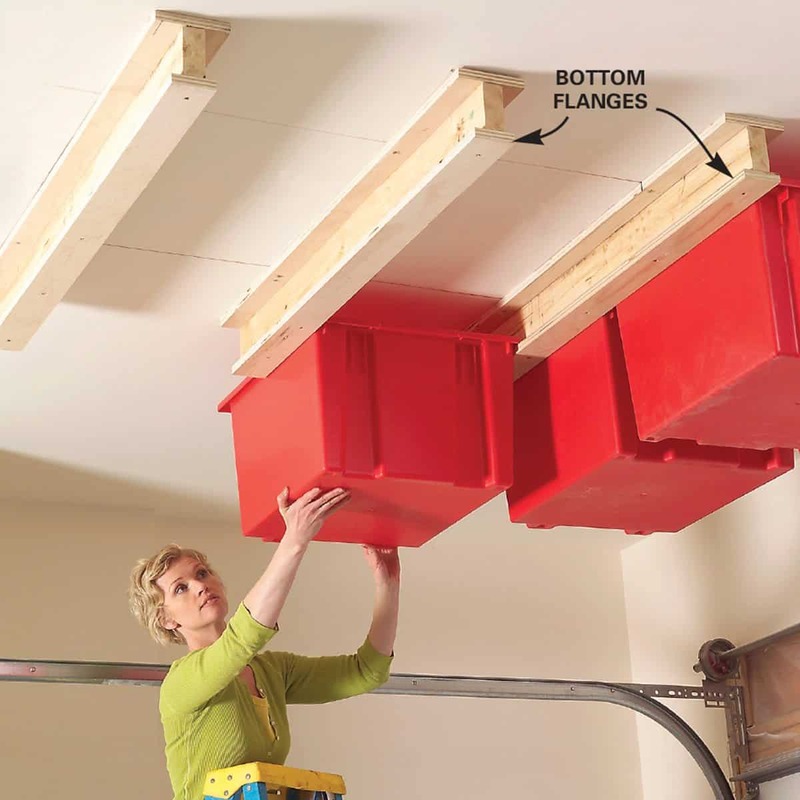 Then check out this ceiling shelf design that sits right at the end of the garage instead! 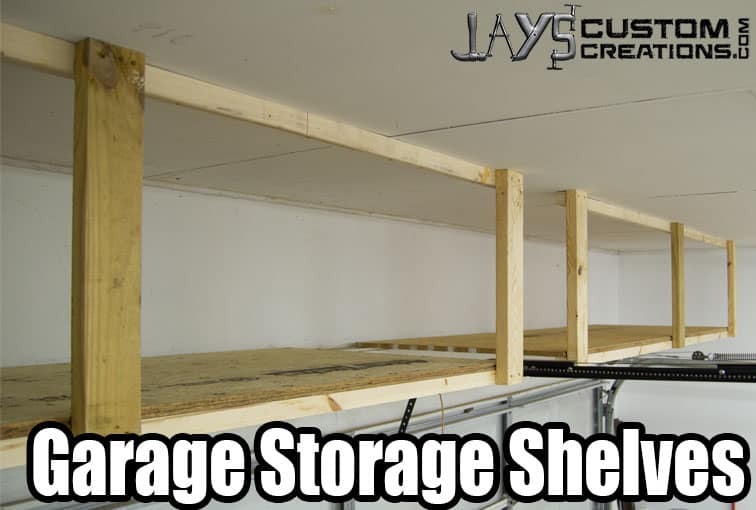 Jay’s Custom Creations shows you how to make it happen nice and solidly but with lots of space to put things. 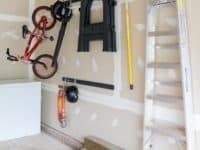 The post Making Most of Extra Space: Smart DIY Garage Organization Ideas appeared first on WonderfulDIY. H&M Home launch new furniture collection – with stylish outdoor sets!